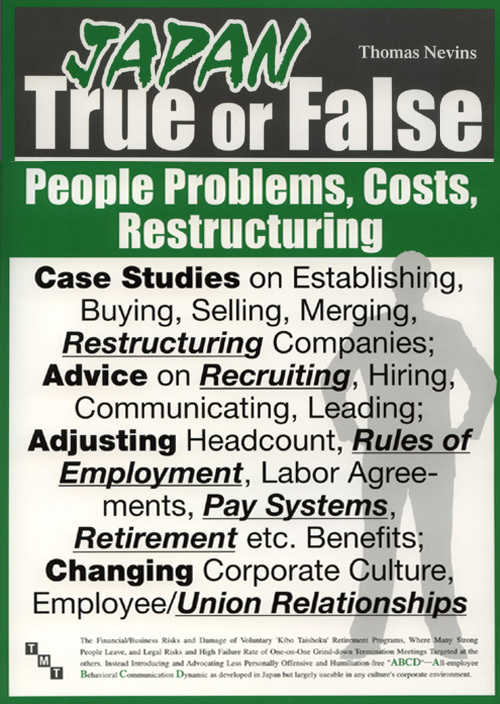 Japan True of False is for corporate performance and growth, and targeted at leaders in companies, unions, the government, universities etc. It might be interesting to first try and answer these questions, and then compare them to my answers in Part 12. If we ever work together, this comparison may be of reference to better understand our assumptions, mind-set, and where we respectively are coming from. Some of these questions are clear-cut. With others, my answers may seem to differ from a traditional, stereotyped, textbook answer. It may be easier for many Japanese lawyers, your Japanese top management, or your personnel manager, to more readily endorse this textbook answer. Except for simple, clear-cut issues of statutory regulation, it can rarely be unequivocally said that something is ‘legal’ or ‘illegal’. The word is often, and understandably loosely used, when more complete and precise communications are not possible. Most of the important issues that come up are subject to interpretation, with wide, deep swaths of gray. With personnel issues and labor relations in Japan, sometimes what is thought to be easy, risk-free implementation ends up being too costly and damaging to your people and your business. The risk assessment is fundamentally flawed, and a lack of knowledge and experience of other possibilities and a better way, results in bad judgment and poor results. Some creativity, better strategy and tactics, more explanation, apology and time spent in properly communicating with all staff, are elements that are often missing. A sincere, careful, and heartfelt communication process with the necessary content will also result in smoother, faster implementation, more effective results, happier people, and higher morale at the company. In this book I did not want to focus only on my clients’ business issues, challenges, the problems they need to solve, and how we helped them. I hope some readers, including Japanese readers, will be interested in some of the human and social context issues surrounding this. This first-half description of today’s human and economic environment, and the problems and challenges of modern day life Japan, leads into a second half of this part that mostly focuses on how to effectively handle staff reductions at companies. There is also a description of some flawed downsizing approaches. Virtually all smaller Japanese companies, and their thoughtful managers and unions, are too smart to make these costly and devastating mistakes. They also cannot afford them, and have no way to get their hands on the large sums of money necessary for these very rare, and extremely rich extra, kibotaishoku/voluntary retirement programs. At these smaller employers, from the beginning, there is no attractive severance package available, so there is no incentive for strong performers to voluntarily leave. Instead the emphasis is on keeping the best crew members, and dumping the unnecessary cargo to maintain job security for as many employees as possible. Only a comparatively small number of the largest, cushy Japanese employers, and a few foreign capitalized firms, have access to the cash, or are able to borrow the cash for large severance pay outs. 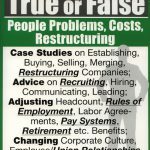 Even such costly, strategically poor staff reductions, where high performing, needed people are the first to resign, may result in short run profitability, however, the company and its manpower are unnecessarily weakened. The firm’s vitality and potential are damaged. The damage has been beyond repair in many foreign capitalized firms, that only knew about, or who felt they had to use the strategically poor approach. It might be interesting to first try and answer these questions also in Part 1, and then compare them to my answers in this part. If we ever work together, this comparison may be of reference to better understand our assumptions, mind-set, and where we respectively are coming from. Some of these questions are clear-cut. With others, my answers may seem to differ from a traditional, stereotyped, textbook answer. It may be easier for many Japanese lawyers, your Japanese top management, or your personnel manager, to more readily endorse this textbook answer. Except for simple, clear-cut issues of statutory regulation, it can rarely be unequivocally said that something is ‘legal’ or ‘illegal’. The word is often, and understandably loosely used, when more complete and precise communications are not possible. Most of the important issues that come up are subject to interpretation, with wide, deep swaths of gray. With personnel issues and labor relations in Japan, sometimes what is thought to be easy, risk-free implementation ends up being too costly and damaging to your people and your business. The risk assessment is fundamentally flawed, and a lack of knowledge and experience of other possibilities and a better way, results in bad judgment and poor results. Some creativity, better strategy and tactics, more explanation, apology and time spent in properly communicating with all staff, are elements that are often missing. A sincere, careful, and heartfelt communication process with the necessary content will also result in smoother, faster implementation, more effective results, happier people, and higher morale at the company. 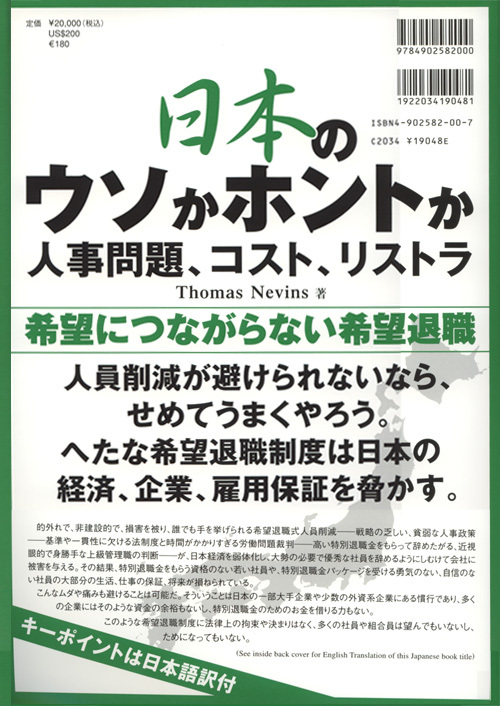 The April 2, 2002 Foreign Correspondents’ Club of Japan Speech Announcement, Japanese Asahi Shimbun/Newspaper coverage referred to in Part 2 of this book, ‘Observations and Key Points’, and other Japanese magazine media coverage, and Japanese language materials, that introduce TMT for Japanese readers. 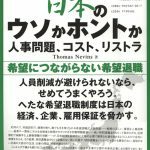 More on the 16 Step Thomas J. Nevins Seminar Trainings is in English at the end of Part 9. The 45 key words with insights from great thinkers and achievers make up the 45 chapter titles of Mr. Nevins partially bilingual book, ‘Know Your Own Bone’, to help us and those around us lead happier and more fulfilled lives.